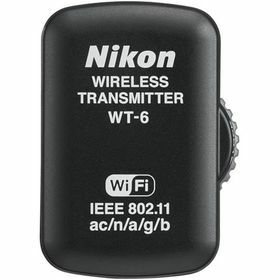 The WT-6 is a wireless transmitter for certain Nikon DSLRs. 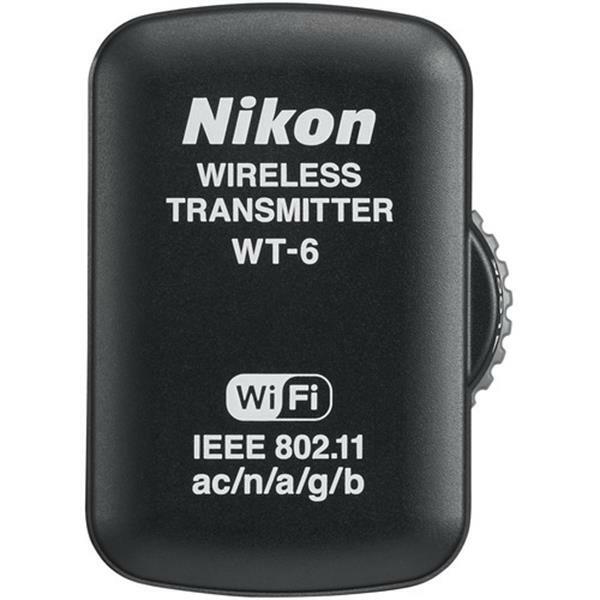 This compact, high-performance transmitter allows communication between the camera and a wireless network over a distance of up to 200 m. It supports wireless LAN IEEE802.11ac. The transmitter attaches to the camera’s interface connector and is powered by the camera body. It features Access Point, HTTP, and FTP modes and allows for the simultaneous release of several cameras. Remote control of camera settings and Live View output is possible in HTTP mode, or via a computer on which Nikon Camera Control Pro 2 software is installed. HTTP mode allows you to use any web browser, including one on a smart device, for remote operation via a wireless or Ethernet cable connection.